cf. 7/24/2004, 5/9/2004, 5/9/2004, 10/30/2002. 「(ネオコンと中道派は) 対立しているふりをしているだけではないかとも感じる。」 って、 180 度転換してる? 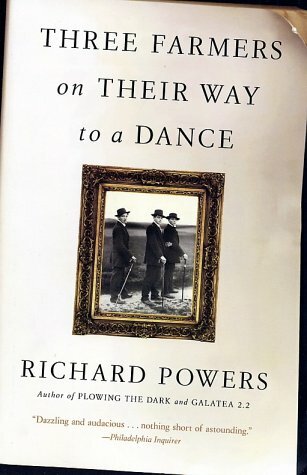 4/28/2004 付記 : richard powers "three farmers on their way to a dance"
「イスラム宗教者委員会」は "the Islamic Clerics Committee"
The kidnappers message to Japan was blunt. Reuters reported that video broadcast on Al Hurra ... showed masked Iraqi men holding knives to the three, all civilians, forcing them to scream: "No Koizumi." ってことは、上の写真 (sydney morning herald) も、 日本の人の目にはあまり触れてないのか? Physics Update より、 S. Lin-Gibson et al, Phys. Rev. Lett. 92, 048302 (2004), A. Montesi et al, Phys. Rev. Lett. 92, 058303 (2004). is here (v 1.1), based on apsrev.bst (*** REVTeX-compatible apsrev.bst 1702 ***). Personally, the point was the command "add.blank" which prohibits putting "," between the fields. The comma should be inside the quotations like " title is this." there.